AUSTIN – Catherine Holloway was born on March 18, 1921 in Chattanooga. 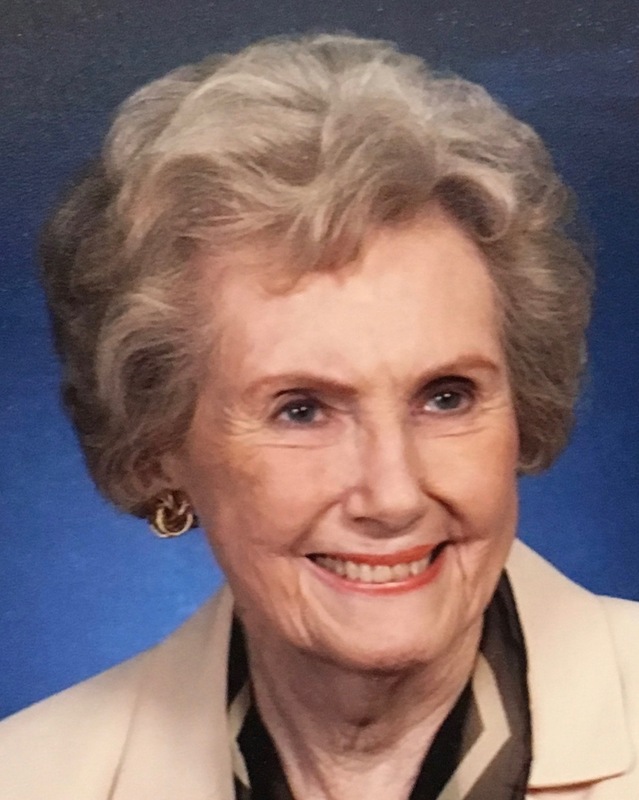 She died peacefully at age 97 in Austin on June 23, 2018. She is survived by her children, Chip Bruce (and his wife Susan P. Bruce) of Wellfleet, Massachusetts, Karen Williams of Austin, and Susan E. Bruce of Temple, stepchildren Molly D’Arcy (and her husband Mike D’Arcy) of Como, Colorado, and Moksha Efsea (and his husband J. T. Dale) of Lakewood, Colorado, eight grandchildren, and seven great-grandchildren. Catherine was an example of patience, unconditional love, graciousness, and making others feel important. She was an exceptional, loving mother, who devoted her life to her family. She always thought of helping others first. Her parents, Charles Holloway and Elizabeth McMaster had eloped, because Charles was two years younger. They then lived in Atlanta, where her sister Betty was born. Elizabeth died when Betty was 12 and Catherine was 10. Charles later remarried to Eva Lassiter. At Tubman High School in Augusta, Catherine was voted the most beautiful girl. Later she attended what was then known as Georgia State College for Women. She met Bert Bruce on a blind date in New York in 1943 and they married in Atlanta soon after. After the war, they lived in Houston, then moved to Fort Worth, where they joined University Christian Church. With Bert, she helped start Bruce Piano Co. in 1950. The store later became the authorized Steinway dealer for Fort Worth and provided pianos for performers visiting the Symphony and Opera. The store was a well-known part of Fort Worth for 35 years, offering pianos for families who wanted their children to learn music and practice/teaching rooms for local piano teachers. It was an active contributor to the classical music scene, as were Catherine and Bert personally. Catherine did everything from making curtains for the first store to bookkeeping, playing a crucial role to help the business thrive. She was also President of the Creative Arts Club along with many other civic activities. Bert died in 1969. A few years later Catherine married Bill Todd. She and Bill became beloved grandparents and great-grandparents in Fort Worth. They were active participants in the Camellia Society and other groups. Bill died in 2009. Despite experiencing at too early an age the loss of her mother, an infant son, two husbands, her father, and her stepmother, Catherine managed to keep up her spirits and to maintain relationships with many close friends, some of whom she knew for over 70 years. She also built relationships with many new ones. This spirit was evident in her last years, when she moved to the Atria at the Arboretum in Austin at age 88. Her apartment became the lodestar for a rapidly growing family as well as friends. She quickly formed new friendships with both residents and staff. She was an excellent bridge player, an intrepid traveler, and always up to date on events in the lives of her friends and family. Her passing leaves a gaping hole in everyone’s life. A burial service will be held at 11 am on Wednesday, June 27, 2018 at Greenwood Cemetery in Fort Worth, followed by a celebration of life at University Christian Church at 3 pm that day. Memorials: Donations can be made to University Christian Church.